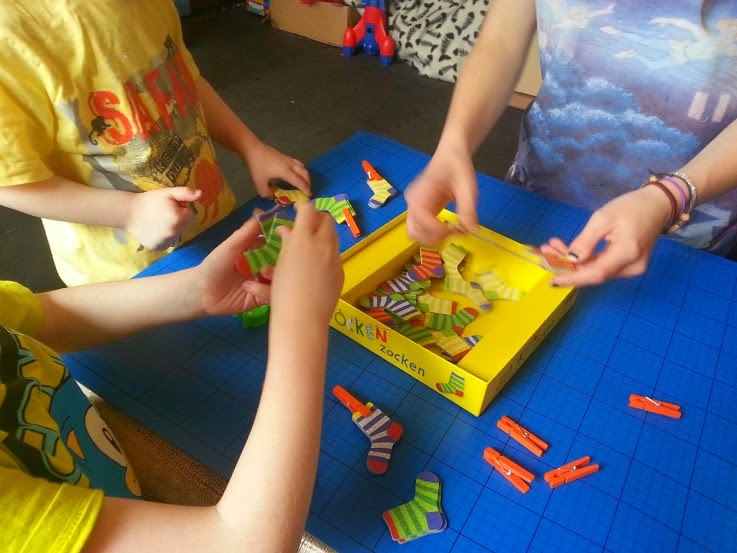 Our latest review for The Toadstool online Toy Shop is from Haba. 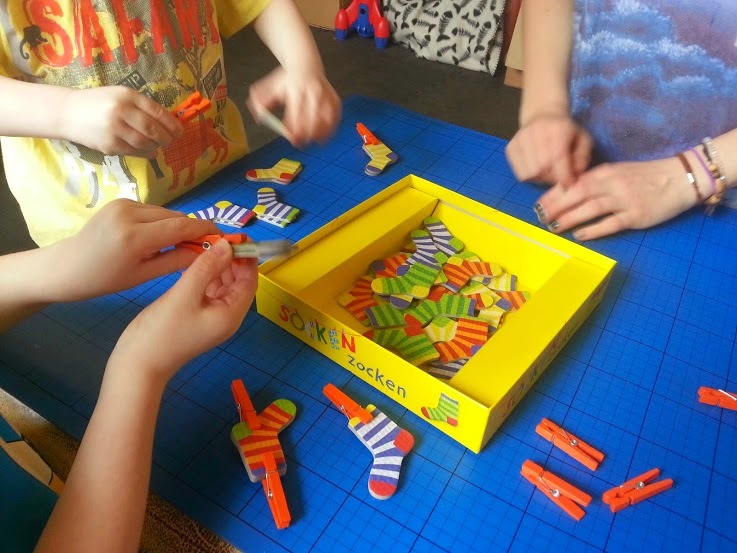 We love Haba, our Michael Doll is still a firm favourite and got a new outfit at Christmas. This review is a bit different because we're reviewing a game. 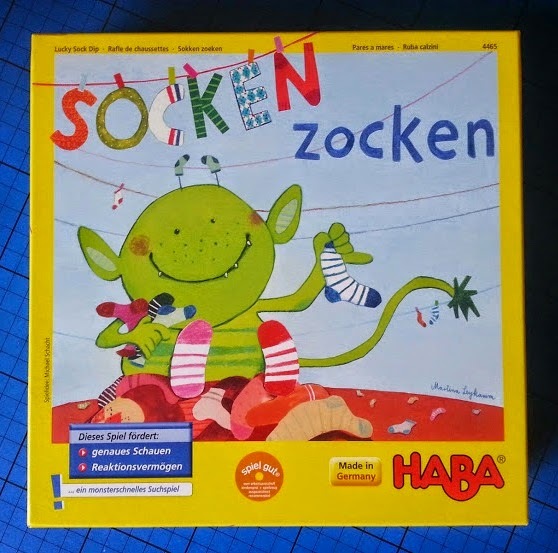 The Haba Lucky Sock Dip Game, or Socken Zocken as it's amusingly called in German, can be one of the most frantic games you've ever played! 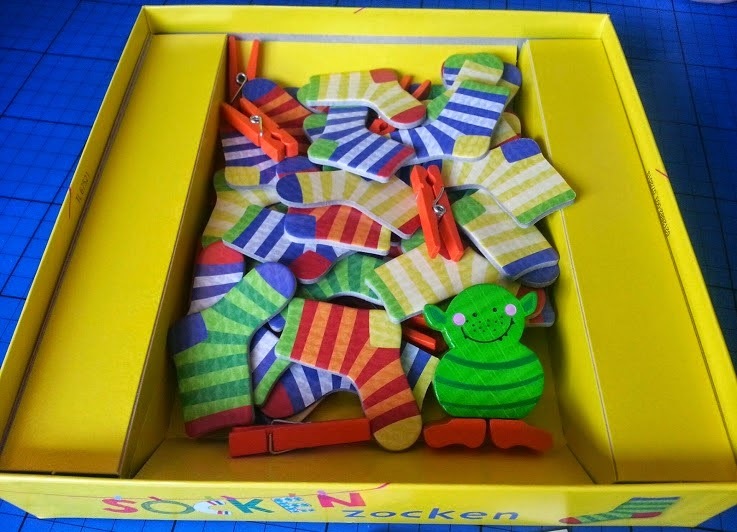 The basic aim of the game is to all try and be the first player to collect 5 pairs of socks and then grab the Sock Monster. It seems easy enough, but the socks are all very similar, so there are a lot of errors. The person who grabs the Sock Monster is the winner for that round, and gets a peg. 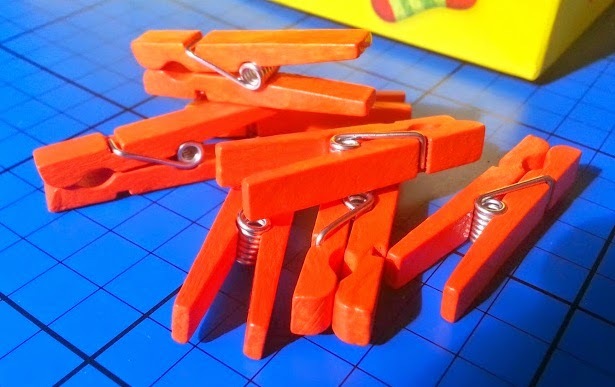 The pegs were incredibly popular. They are very sweet, and my 4 year old wouldn't leave them alone! 3 pegs and you're the winner of the game. The only thing more attractive to everyone than the pegs is the lovely wooden Sock Monster. The quality is second to none, the socks are really thick card with beautiful printing. However, back to the game! The recommended age range is 4+, and the game can be played by 2-4 players. There are 24 pairs of socks, which is plenty. I suggest if you are playing with younger children and there are less than 4 players, take out a few pairs of socks so that it isn't as tricky. 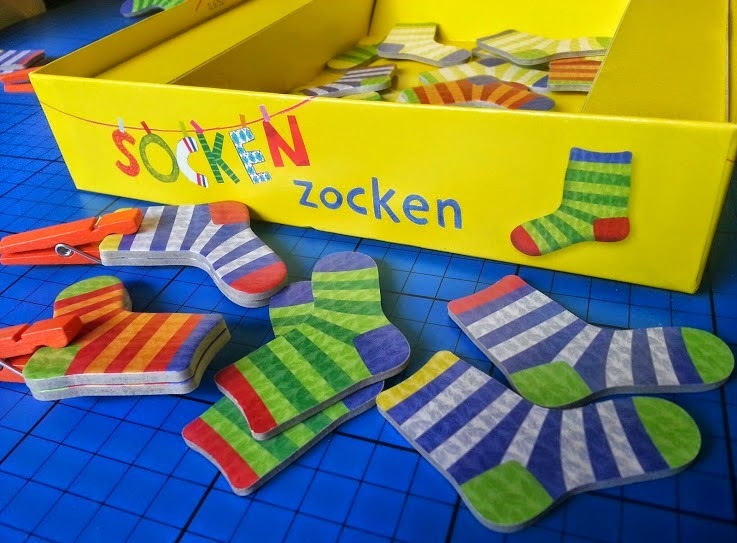 If you're playing with grown ups then you can take out a couple of odd socks so that there are loose socks without a partner to make it harder. We left the socks in the box to pick, but you could just as easily tip them onto the table. 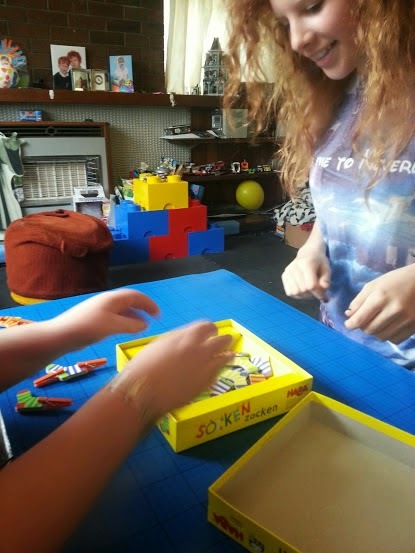 The game is brilliant for hand-eye coordination and learning colours and matching skills. It encourages concentration and attention and helps children learn to spot more subtle similarities and differences. This game isn't only fun for children, it's very much playable by adults and teenagers too. The pace is faster and it gets very competitive. We like this game, although I think when they're older children might scrap a bit over this game, it's very snatchy and is better supervised. Replayability is excellent, and it does suit all ages, a 9 year old will enjoy it as much as a 5 year old. 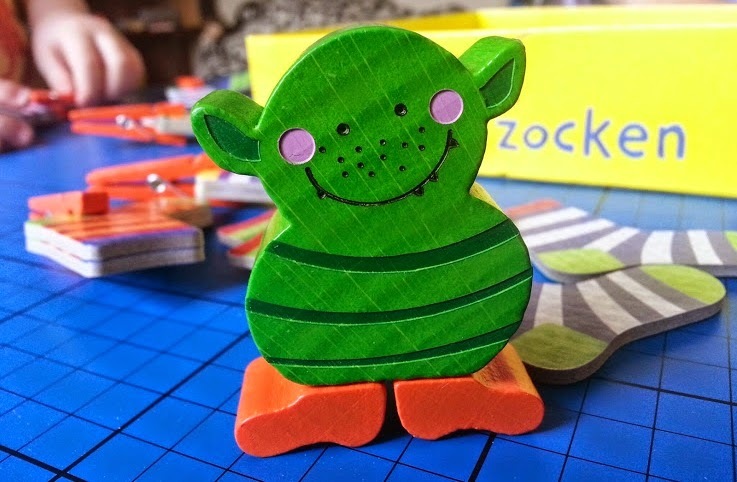 The Haba Lucky Sock Dip is currently at a special offer price on the Toadstool website at £9.90, usually it retails at £11.90, which is a very fair price and it makes a lovely gift. We were sent our game to review. This looks fab! I can see my 2 finding this humourous and fun with the added competitive element. It looks great quality too! Oh tell me about it. I've had to give up. I had 4 carrier bags full and waiting for pairs to turn up just wasn't happening! That looks like a really fun game for everyone to enjoy! :D Isn't it funny the things they take to? I swear if you gave them a box with pegs, elastic bands and a feather they'd play with it all day! 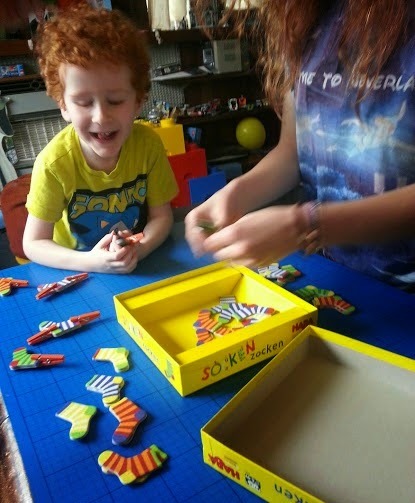 This does look like a fab game, and great to get kids to concentrate. It is excellent for getting them to focus, it really is. They can't just sit back and it's really quite hard to find the correct pairs! Looks like a great game. Planning to get this when N's a bit older and needs a bit more of a challenge than currently. This looks fab, we had a sock game when my son was smaller, but I love the little monster in your game!